Paddy Power is an old Irish betting operator that was founded in Dublin in 1988 but went online in the early 2000s when the company established its online casino. We wanted to see whether their online casino is as good as their sportsbook, so we decided to write a Paddy Power review and test the whole casino offer. We will give you a glimpse into their entire offer including games, promos, security, and all other important aspects in order to see how it fares against the best online casinos in the UK. All games that we tried ran at optimal speeds and without any bugs, glitches or lags, but most of them require a stable and fast Internet connection. If you can’t meet this condition or you have a problem connecting to the website, you can download the desktop app and play without any hindrances. Paddy Power casino has more than 200 different games and live casino rooms. Amount-wise, the offer is below the standard, but the game roster is highly diversified with video poker, slots, live casino games, and some unique scratch games. The casino offers three different welcome promotions depending on which game you prefer. There is one slots bonus that grants you a 400% deposit match with the additional 20 Free Spins, while the second one offers a 100% match bonus for live casino enthusiasts. The third Paddy Power sign up offer includes a 200% deposit match that can be used in all casino games. Paddy Power has two channels for contacting customer support as you can reach them by live chat or by phone 24/7. We contacted the live chat team and they responded within seconds, offering a helpful reply. Players can deposit and withdraw using credit/debit cards, Skrill, Neteller, Money Bookers or a Bank Transfer. Since the point of our Paddy Power review is to give you a realistic picture of the user experience, we deposited, played, and withdrew the funds in order to explore the casino first-hand, and we have to admit that we were most satisfied with how smooth the whole process was. Paddy Power website employs the most up-to-date software in order to provide players with a safe gambling environment. In addition, the website stores all funds on segregated accounts and holds a certificate from Thawte, a leading agency that provides SSL encryption. The promo section at Paddy Power contains only three active promotions; however, each of them is tailored for different kinds of players depending on what kinds of games they prefer. In addition, all bonuses carry a significant boost, so it may be best to visit the casino’s bonus page and see which one would suit you best. Slots enthusiasts can claim the Welcome bonus which matches their first deposit 400%, plus they will be given the additional 20 Free Spins as part of the deal. The wagering requirement for this bonus is 35x and the minimum deposit for claiming it is €10, but remember that you’ll have to spend all your Free Spins in 7 days. Live casino fans can get the 100% bonus on their first deposit by depositing a minimum of €20. The maximum bonus you can receive is €100, but before withdrawing you’ll have to wager the bonus amount 50 times, and most importantly, bear in mind that only Live Roulette and Live Blackjack games count towards the requirements. Members who prefer casino games can claim Coral’s 200% first deposit bonus. To claim it, you’ll first have to deposit a minimum of €20 with the wagering requirement of 35x. Note that not all casino games contribute evenly and that there is a list of certain games that you can play using your bonus funds, so make sure you check which games are included. The game roster at Paddy Power contains more than 200 games, including live casino. Although this number is below standard, the game library is diverse and full of unique games provided by RedTiger, Blueprint, Realistic Game, NetEnt, Cayetano, and Playtech. The slots section is by far the most populated on the website. There are 150+ games to choose from with 50 of them carrying a jackpot prize that ranges from €10,000 to €1,000,000. In addition, the roster is filled with a large number of licensed franchises, such as the Matrix, Justice League, and the Dark Knight. The Paddy Power poker offer contains 11 different video poker games and even though the roster is small, it contains some very enticing titles with loads of opportunities. One of the most interesting ones that we would like to recommend is Jacks or Better Multihand with a 98% RTP and which lets you play up to 50 hands while giving you the opportunity to win 4,000x your initial amount. If you’d like a game with a bigger prize, the section also hosts Caribbean Stud Jackpot poker with a prize of over €100,000 and betting hands that go up to €5,000. Members who prefer Paddy Power Roulette, Blackjack, and other card games, have three different subsections at their disposal. The Roulette subsection contains some 20 different games, and the most interesting one we found was Playtech’s 3D Roulette with impressive visuals and which lets you bet up to €5,000 per hand. Blackjack category has 12 different games, but our recommendations go to 21 Duel Blackjack because it lets you play with high stakes, multiple hands, and because it has an RTP of over 98%. The last section features a small number of card games with duplicates of the aforementioned blackjack games with the addition of Baccarat and 3 Card Brag. Live casino fans can choose between Live Roulette, Live Blackjack, and Live Casino subsections with most of them having a stake range between €0.5 and €200. All the games here are very similar, except for the Diamond Roulette which stands out with its luxurious atmosphere. Players can enjoy 15 different games in the Live Blackjack section where both modest players and high rollers can find something they like, as the stakes range from €5 to €2,500. The best Blackjack we found while writing this Paddy Power review has to be Live Lounge Blackjack with a wide range of stakes and RTP over 99%. In addition, the website includes live versions of sic bo, baccarat, Hi-Lo, and Spin a Win games that complete the already rich live games offer. The final section contains only two scratch games, both of them being licensed franchises. The games offer interesting gameplay, but all our recommendations go to Kong as it has a higher RTP as well as a chance to win as much as €1 million. Upon entering the PaddyPower website, you can immediately notice its professionally made interface. The platform on which the website is hosted is stable and has no problems running all the games, regardless of whether they’re video games or live casino rooms. Users with a slower Internet connection might experience problems while playing, but they need not worry as Paddy Power has prepared a desktop app that you can download for free and play all the games without any lag. The website boasts a slick, modern design and all the necessary buttons are clearly visible. The top of the Paddy Power casino homepage contains your balance and account info, while the centre is reserved for the games roster and different game categories. At the bottom, you can find all the necessary legal documents, such as the terms and conditions, responsible gambling links, licences, as well as the Help button. All in all, the layout of the page is quite intuitive and comprehensive with fast loading times and inviting background visuals. If you want to take your games with you, you can download the Paddy Power app which features a full game roster with special promotions. Both iOS and Android versions are available, and you can download them from their dedicated web stores. In addition, you can contact customer support, but also deposit and withdraw money while using the app. Creating your account at Paddy Power is easy and fast, but before withdrawing, the website will demand that you verify your identity by providing them with your personal documents. When you decide to join, all you need to do is click on the Paddy Power sign up button in the top right corner of the page and the website will take you to the registration page where you’ll have to enter your name, date of birth, country, phone number, email, password, and currency. Opening and using an account on Paddy Power is available from everywhere except Australia, the United States, Germany, Canada, South Africa, along with some other countries that you can find on the list of restricted territories on the website. When it comes to customer support, there are two ways you can reach it – either by phone (0800 056 5275), or you can contact the Paddy Power live chat and get your answers in a matter of minutes. The website is licensed and regulated by the Malta Gaming Authority under the licence number MGA/CRP/131/2006. 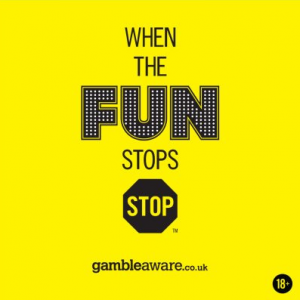 Since the website provides remote gambling software to the UK customers, it’s also licensed by the UK Gambling Commission under the licence number 38939. When it comes to banking, the website currently accepts euros and pounds for your payments which can go through Money Bookers, Skrill, Neteller, Bank Transfer, and credit/debit cards. The minimum deposit amount is €5 and the minimum withdrawal is €10; but while the deposits are instant, the Paddy Power withdrawal time takes about an hour because you will have to confirm your identity first – all in the service of your personal safety and security. The company employs the latest 128 SSL encryption software and is certified by Thawte, while all fund transfers are protected by File Transfer Protocol. In addition, the website employs a PGP public key for secure transmissions – all freely available for checking on the website’s dedicated pages. Paddy Power hosts a wide variety of games that can keep you occupied for a long time; plus, you can find some interesting bonuses and promos to spice up your gaming experience. On top of that, the website manages to provide fast banking along with the latest security measures, which is something that will definitely make the players happy as they can freely focus on playing and having fun. But this is not all, as we would like to invite you to take a look at some of the key benefits for the very end of our Paddy Power review.